Drawing together the new techniques available to the market researcher into a single reference, The Handbook of Online and Social Media Research explores how these innovations are being used by the leaders in the field. 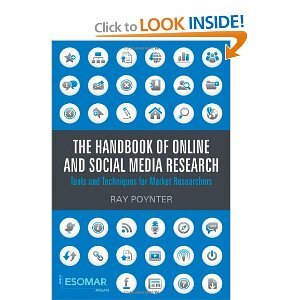 This groundbreaking reference examines why traditional research is broken, both in theory and practice, and includes chapters on online research communities, community panels, blog mining, social networks, mobile research, e-ethnography, predictive markets, and DIY research. Peter Harris, National President, Australian Market and Social Research Society (AMSRS).